Place your card into a card protector or sleeve, taking special care not to catch the corners of the card on the sleeve. This can be performed by placing the card's bottom left corner into the sleeve first, then allowing the rest of the card to slip safely into the sleeve. 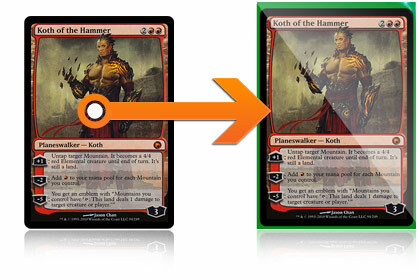 Using material such as a top loader (a hard plastic holder) to further protect the sleeved gaming card is highly recommended. Place the card into the top loader according to the same process you followed in Step 1. It's best to put the card into the top loader with the sleeve's opening facing down. This way, if the card does slip out of the sleeve, it won't also slip out the top of the protector too. Sandwiching the gaming card tightly between a rigid (non flexible) material such as cardboard is also acceptable. 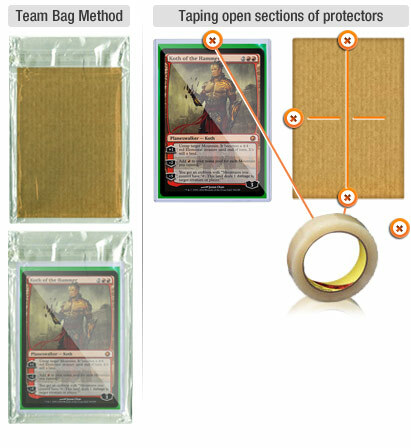 Placing the top loader or the gaming card that is sandwiched between a rigid material into a team bag (a clear resealable bag) will greatly minimize the chances that the card will slip and slide out of its protectors while in transit. The use of a team bag is the most preferred and professional way to further protect your product. Other methods such as taping the top of the top loader with clear tape will also work. If you are sandwiching your card between a rigid material such as cardboard, taping all sides of the material will also help the card from sliding free while in the process of being mailed. Remember that your buyer will need to be able to unpack the card without damaging it, so try and use the least amount of tape necessary to secure the card. Place the protected card in a bubble mailer or secure envelope, like the kind you might find in an office supply store. As far as shipping goes, many buyers prefer you get Tracking / Delivery Confirmation for an item that has been purchased. Tracking / Delivery Confirmation provides the date, time, and location of the delivery or delivery attempt and can be tracked online. **Any orders over $20.00 in value should include Tracking / Delivery Confirmation for your own protection. **Any orders over $49.99 in value MUST be shipped with Tracking / Delivery Confirmation. You may also choose to add insurance for your protection. ** Any orders over $250.00 in value MUST be shipped with Signature Confirmation. You may also choose to add Insurance for your protection. As part of the Seller Agreement you are contracted to adhere to, it is your responsibility to deliver the items contained within an order to the Buyer and you waive your ability to win any disputes if the customer says the package did not arrive due to not having Delivery Confirmation or Tracking. The Seller waives the ability to win any disputes if the customer says the package did not arrive should they choose not to follow the guidelines listed above. 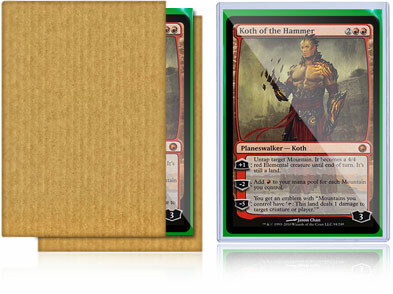 Be sure to take the time to properly package your gaming cards so that they do not get damaged during shipping. It helps keep the card in the same state when it reaches the buyer as it was when you sent it. Never ship a card in an envelope with no protection. 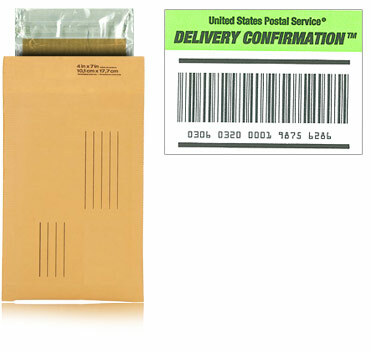 Cards can be damaged in the mailing system more easily if you use this type of method for transport. Prices and services for shipping your items may vary. Please be sure to either check your local post office or review: USPS Shipping Information.